The anti-Iran powers in the U.S. again try to smear Iran as allied with al-Qaeda. The accusations will be used to justify further hostilities against the country. Suddenly an anonymous, and likely fake, document appears and is prominently launched into public circulation. To provide plausibility for the publishing the new CIA director Mike Pompeo ordered his staff to release additional data allegedly found in Osama Bin Laden‘s compound in Abbottabad in Pakistan. These “new” papers were first released to the neoconservative anti-Iran lobby Foundation for Defense of Democracies. Among the “hundred thousands” of pages a mysterious 19 page document is claimed to prove Iranian collaboration with al-Qaeda. The way the release was handled and the prominence put on this one specific paper indicates that the now released stash was “spiked” with this document to initiate hostilities against Iran. We have been here before. 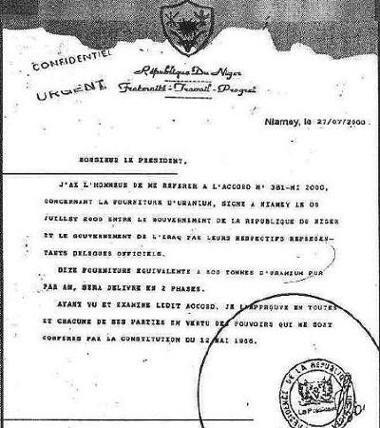 Fake documents produced by the CIA and neo-conservative think-tanks were used to allege that Saddam Hussein was buying Uranium in Niger (copy below). False claims were made that Saddam had contacts with the perpetrators of the 9/11 attack in New York. @CIA released what it claims are the final public files from Bin Laden’s lair. I’m all for transparency, but this isn’t about that. The DNI-led review was overseen by career intel officials, who concluded that, w the Jan files, all those of public interest were released. But a funny thing happened when CIA Director Pompeo came into office. I’m told he re-launched a review of the files. In doing so, he took officers away from important missions to pore—and re-pore—over the millions of documents. How can we be sure this was a CIA effort? Unlike previous releases, today’s files are hosted on CIA.gov, not the DNI site. The ploy is transparent despite the fact that the newly-released documents don’t tell us anything we didn’t already know. What’s not as transparent are the motives of Pompeo, the administration’s leading and most influential Iran hawk. Remember Cheney on @MeetThePress, pointing to Atta’s supposed Prague meeting w Iraqi officials? It was a key element of the march to war. History doesn’t repeat itself but it does rhyme. Need to remain vigilant to ensure Pompeo isn’t able to write it. The CIA is releasing hundreds of thousands of documents, images, and computer files recovered during the May 2011 raid on Osama bin Laden’s compound in Abbottabad, Pakistan. The CIA provided FDD’s Long War Journal with an advance copy of many of the files. It will take years for experts and researchers to comb through this treasure trove of information. However, we offer some preliminary observations below. Al Qaeda’s relationship with Iran’s government has been fractious at best and openly antagonistic at worst, according to documents confiscated from Osama bin Laden’s hideout in Pakistan and made public on Thursday. The one new document that now changes the old assessment by 180 degree is of course the one the Telegraph and other neoconservative outlets immediately point out: Trove of Bin Laden documents reveal Iran’s secret dealings with al-Qaeda. But how come that an assessment from a “senior jihadist” received by Bin Laden is anonymous? How does FDD know that the author is “senior”? Why doesn’t he have a name? The alleged “senior jihadist” paper wants us to believe that Iran offered al-Qaeda “training in Hezbollah camps in Lebanon”? That is ludicrous. Al-Qaeda always had an anti-Shia ideology and agenda. It is not plausible that the Shia majority Iran would ask the Shia organization Hizbullah to train the anti-Shia killer gangs of al-Qaeda. Iran remained unwilling to bring to justice senior al-Qa’ida (AQ) members it continued to detain, and refused to publicly identify those senior members in its custody. In 2015 Iran released some al-Qaeda members in exchange for an Iranian diplomat al-Qaeda had taken hostage in Yemen. That is not the record of a friendly relation. The 19-pages document is not plausible. It was obviously produced and prominently launched for a specific political purpose. It contradicts earlier released papers as well as the historic record. The regime change playbook plays on American fears of Salafist terrorists by claiming the target-leadership supports them. For Saddam it was that he supported Al Qaeda. For Assad it was that he supported ISIS. For Iran it will increasingly stress Al Qaeda ties. It seems likely that the “never-before-seen 19-page document” with “a senior jihadist’s assessment” was written up in Langley or Tel Aviv. It was then put into the stash of the now released Bin Laden files to give it a somewhat plausible origin. FDD was specifically pointed to that very document to bring it into public circulation. This is clearly reminiscent of the Bush/Cheney regime’s campaign against Iraq in which faked documents claimed that Saddam was buying Uranium from Niger and that he had contacts with the perpetrators of 9/11. The release of this document is primitive warmongering propaganda. So primitive indeed that many will fall for it. Others are equally suspicious of this release. 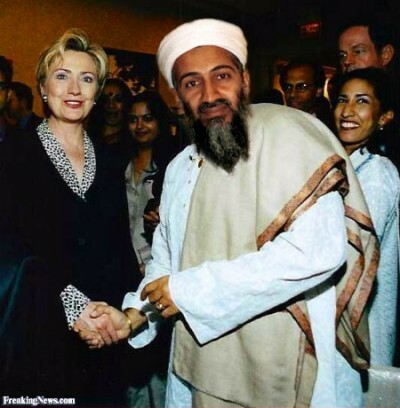 Ankit Panda in The Diplomat asks: Was the bulk release of Osama Bin Laden’s Abbottabad data trove an act of transparency or something else? Over the course of four hours, senators argued that “foreign infiltration” is the root of social opposition within the United States, in order to justify the censorship of oppositional viewpoints. The most substantial portion of the testimony took place in the second part of the hearing, during which most of the Senators had left and two representatives of the US intelligence agencies testified before a room of mostly empty chairs. The implications of these statements are staggering. The United States is in the midst of a civil war, and the necessary response of the government is censorship, together with the abolition of all other fundamental democratic rights. The “rebellion” must be put down by silencing the news outlets that advocate it. That such a statement could be made in a congressional hearing, entirely without objection, is an expression of the terminal decay of American democracy. There is no faction of the ruling class that maintains any commitment to basic democratic rights. None of the Democrats in the committee raised any of the constitutional issues involved in asking massive technology companies to censor political speech on the Internet. Only one Republican raised concerns over censorship, but only to allege that Google had a liberal bias. Despite the fact that Feinstein and other Democrats were clearly pressuring the company to take that step, the senators allowed Richard Salgado, Google’s Law Enforcement and Information Security Director, to present what was by all appearances a bald-faced lie before Congress. 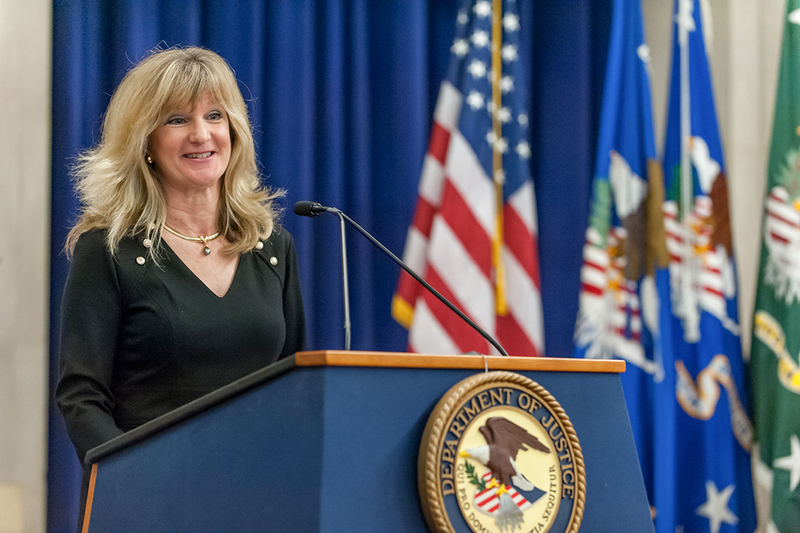 “The removal of RT from the program was actually a result of…is a result of some of the drop in viewership, not as a result of any action otherwise. So there was … there was nothing about RT or its content that meant that it stayed in or stayed out,” Salgado stammered, in the only time he appeared to lose his composure during the hearing. Stressing the transformation of the major US technology companies into massive censorship operations, Democratic Senator Sheldon Whitehouse of Rhode Island asked the representatives of the firms, “I gather that all of your companies have moved beyond any notion that your job is only to provide a platform, and whatever goes across it is not your affair,” to which all answered in the affirmative. While the senators and technology companies largely presented a show of unity, just how far the companies were willing to go in censoring users’ content and helping the government create blacklists of dissidents was no doubt a subject of contentious debate in the background. On Friday, Feinstein sent a letter to Twitter’s CEO demanding that the company hand over profile information—possibly including full names, email addresses, and phone numbers—related to “divisive” “organic content” promoted by “Russia-linked” accounts. The New York Times reported over the weekend, however, that Facebook has already begun turning lists of such “organic content” over to congressional investigators. 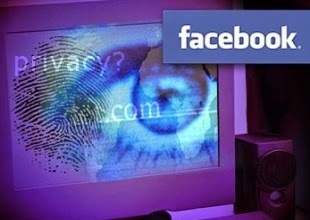 Given that Facebook has said that just one “Russia-linked” company had posted some 80,000 pieces of “divisive” content, including reposts from other users, it is reasonable to assume Facebook and Twitter are being pressured to turn over information on a substantial portion of political dissidents within the United States. Wednesday’s hearings by the House and Senate Intelligence committees on “extremist” political views served as the occasion for members of Congress to urge technology companies to flagrantly violate the US Constitution by censoring political speech, carrying out mass surveillance, and muzzling journalists in pursuit of the government’s geopolitical aims. The hearings revolved around allegations, promoted ceaselessly in recent months by the intelligence agencies, leading figures within the Democratic Party, and newspapers such as the New York Times, that social opposition to the political establishment results from “fake news” promoted by Russia. In line with Schiff’s assessment, members of Congress who participated in the hearings spent the bulk of their time demanding that the companies censor such “fake” news, which they equated with the writings of exiled journalist Julian Assange and other political dissidents. It is a testament to the decay of American democracy that it was left to the representatives of Facebook and Twitter, who have been broadly accused of violating users’ privacy for their own financial gain, to inform members of Congress about the ABC of constitutional law. In an exchange that embodied the total contempt for freedom of speech that pervades the ruling elite, South Carolina Representative Trey Gowdy demanded that Facebook and Twitter block their users from making inaccurate statements about the current day of the week. “Can I ‘say today is Thursday’,” the South Carolinian demanded. “What are you going to do with that?” Gowdy asked which constitutional amendment protects the right of people to make such statements, totally oblivious that almost all false statements are protected under the First Amendment. Although the representatives of the technology companies largely played along with the narrative of “Russian meddling” in American politics, their resistance to the most flagrant censorship demanded by the government piqued the ire of the senators leading the witch-hunt. 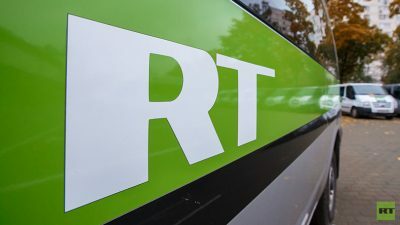 Earlier this month, Google removed Russia Today (RT), a Russian-sponsored TV station and online news outlet that reports stories largely censored by the mainstream press, from its list of “preferred” channels on YouTube. Feinstein took issue with Google’s statement that it revoked RT’s status as a preferred channel for non-political reasons, and demanded to know why Google had not acted against RT earlier. Cotton likewise demanded that Twitter censor WikiLeaks’ editor Assange. “Are you also intending to turn over to the committee any kind of direct messages” on accounts suspected of being linked to Russia? Based on the stated goal of fighting “fake news,” Google has implemented sweeping changes to its search algorithm that has led search traffic to 13 leading left-wing, progressive and anti-war sites to plunge 55 percent. Search traffic from Google to the World Socialist Web Site has fallen by 74 percent, and the site has been blocked from Google News. Wednesday’s testimony makes clear the political motives behind Google’s actions. Rather than seeking, as it publicly claims, to provide “true” and “authentic” content, Google is acting as the proxy of the US government and its agencies to muzzle its critics and political opponents. For over two years now, WhoWhatWhy has been trying to get the government to give us the details of the justification behind incarcerating convicted Boston Marathon bomber Dzhokhar Tsarnaevunder a repressive confinement regime known as Special Administrative Measures (SAMs). SAMs make it nearly impossible for the media to have any access to prisoners. The Department of Justice (DOJ) refuses to budge and continues to deploy the dubious logic that to confirm or deny the existence of SAMs would be an unwarranted invasion of Tsarnaev’s privacy. This was in response to a request we filed back in 2015 through the Freedom of Information Act (FOIA), seeking documents about the conditions of Tsarnaev’s confinement. The DOJ denied our request and subsequent appeal. And yet, the Bureau of Prisons (BOP), a division of DOJ, readily confirms that Tsarnaev is in fact being held under SAMs. Essentially a form of solitary confinement, SAMs typically bar prisoners from communicating with anybody outside their prison cells, except for a very small number of pre-approved individuals, such as attorneys and inmates’ family members. SAMs were originally justified as a way to prevent members of organized crime from sending to compatriots outside the prison messages that could conceivably result in death or serious bodily injury. In the case of Tsarnaev, this justification rings hollow since DOJ insists that he and his brother Tamerlan had no “nexus” to any terrorist group and acted completely on their own. But it also has the effect of giving the government total control over the narrative and backstory of a troubling event like the Boston Marathon bombing. No one from the media can speak with Tsarnaev and even his defense team and family are severely restricted in what they can reveal about their communications with him. The US Penitentiary, Administrative Maximum Facility in Florence, Colorado. (ADX Florence) Photo credit: FBP / Wikimedia. Back in April 2016, we highlighted the Kafkaesque situation for a prisoner under SAMs. 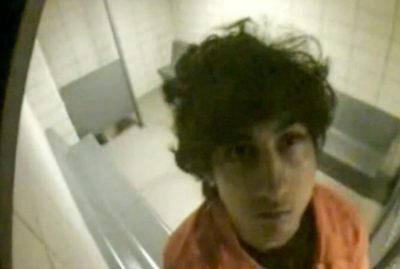 We wrote about how DOJ denied our first request under FOIA exemption 7(C); the department stated that “lacking [Tsarnaev’s] consent … even to acknowledge the existence of such records … could reasonably be expected to constitute an unwarranted invasion of his personal privacy.” 7(C) is meant to protect the privacy of individuals whose records are held by law enforcement agencies. The day after our article ran, officials in the DOJ’s Office of Information Policy (OIP) emailed each other links to the article. How do we know? Because we FOIA’d our FOIA request. We had hoped to gain some insight into the decision-making process behind the rejection of our FOIA request and appeal. The results were not very enlightening. We obtained 29 pages from the DOJ’s OIP in total — 10 of which are the requests and appeals we sent, with their corresponding responses. Another three and a half pages are blacked out and labeled “Non-Responsive Records.” We’re still waiting on records related to the initial request, which are processed by a different office. It’s not clear what, if anything, OIP officials had to say about our article other than linking to it. Most of the substance of each email between OIP officials is redacted. The balance of the heavily redacted records are processing worksheets and emails between OIP employees. Anything related to decision-making about the appeal is blacked out under (b)(5), the infamous “withhold it because you want to” exemption. FOIA experts roundly criticize the exemption because of its broad language and its increasing use by executive branch agencies. Interestingly, director Peter Berg of Patriots Day, the Hollywood production about the Boston Marathon bombing, was quoted as saying he had corresponded with the incarcerated Dzhokhar Tsarnaev. We sought confirmation of the above statement from Berg’s production company. No one responded to our multiple phone messages or emails seeking clarification. It’s not clear whether Berg misspoke, was misquoted, or whether he actually did let slip the fact that he was granted special access to this otherwise gagged individual of great public interest. We know, from the fact that DOJ monitors news stories about itself, that they take a keen interest in how they are seen by the public. Is it possible Berg, with his favorable-to-law- enforcement portrayal of the marathon bombing, was granted special access to this mystery of a young man? We’ll let you know if anyone from Berg’s office gets back to us. From Brussels, where he fled to escape prosecution by Spanish authorities, deposed Catalan regional premier Carles Puigdemontappealed yesterday for the European Union to intervene in the secession crisis. Last week, Madrid invoked Article 155 of the Spanish Constitution to impose an unelected regime in Catalonia in response to the October 1 Catalan independence referendum. Now Puigdemont is asking the EU to broker a deal between the Popular Party government in Madrid and the ousted Catalan authorities. Workers in Catalonia and across Spain face an attempt by the Spanish ruling elite to seize the Catalan regional state apparatus, purge the public service and crush all opposition to the EU’s agenda of austerity and militarism by mobilizing tens of thousands of Guardia Civil and soldiers. The danger of bloody police-military repression in Catalonia is looming. Puigdemont’s appeal to Brussels expresses the political bankruptcy and reactionary role of Catalan bourgeois nationalism in this explosive and dangerous situation. There are mass protests against Article 155 in Catalonia, fears in the European ruling elite of a mobilization of the working class, and popular opposition to Article 155 across Spain. Puigdemont’s reaction to this growing popular opposition is to seek a deal with both Madrid and the EU, which has repeatedly made clear its support for Madrid’s policy of authoritarian rule in Catalonia. 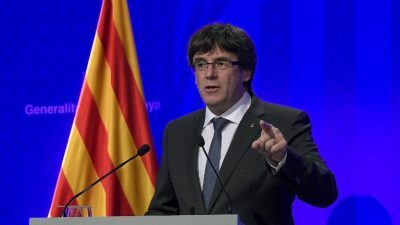 Speaking from Brussels, Puigdemont lamented “the grave democratic deficit that exists in the Spanish state” and urged Brussels to intervene “to protect the values of the EU.” He said he wanted to base the Catalan regional government partly in Brussels for a time so as to escape “the violence and belligerence” of Madrid. Calling for a defense of Catalan “institutions and self government,” Puigdemont at the same time endorsed Spanish Prime Minister Mariano Rajoy’s call for snap elections in Catalonia on December 21. Polls by the Centre d’Estudis d’Opinió show that an election held today would return a pro-independence parliament in Barcelona virtually indistinguishable from the parliament that was the basis for Puigdemont’s government before he was removed by Madrid. The Junts pel Sí (JxS—“Together for Yes”) coalition would receive 60 to 62 seats, and the petty-bourgeois Candidatures of Popular Unity (CUP) would receive eight to nine. This would give the JxS-CUP coalition a majority in the 135-seat Catalan parliament. Puigdemont did everything he could to suggest that Rajoy’s December 21 election would be a truly democratic expression of the will of the Catalan population. “I will accept the results, but will the Spanish government accept them if they are not favorable [to Madrid]?” Puigdemont asked, adding that Rajoy might somehow accept a unilateral declaration of independence by Catalonia if the December 21 vote gave the majority to secessionists. Puigdemont’s appeals for a deal with the EU and the political establishment in Madrid aim to promote absurd illusions. The EU will not intervene in Spain to preserve “democratic values” any more than Madrid is seeking a “democratic” consultation of the Catalan population by calling the December 21 poll. The EU and government leaders in Germany, Britain and France have repeatedly insisted that Rajoy is the only person in Spain with whom they will negotiate. Madrid invoked Article 155 to suspend the powers of the Catalan parliament. Whatever majority is returned by the December 21 election will be powerless from the standpoint of Spanish law to name a government, pass laws or take any substantive action. Puigdemont’s attempts to present the Catalan parliamentary election as “democratic” amounts to applying a “democratic” gloss to the dictatorial policies of Madrid. The only way forward in the struggle against the turn toward dictatorship by the Spanish and European capitalist class is the independent revolutionary mobilization of the working class, on the basis of a socialist and internationalist perspective. The defense of the elementary democratic and social rights of the working class across Spain and Europe requires a struggle against the attempt by Madrid and the EU to impose a government by force on an entire region of Spain. The crackdown on Catalonia must be stopped, and Spanish troops and police withdrawn from the region. Such a struggle can be mounted only in opposition to all factions of the Spanish political establishment, including its supposedly “left” factions such as the middle-class Podemos party, and to the Catalan nationalists. Despite the bitter conflict between the ruling elites in Madrid and Barcelona, they are reacting to growing popular opposition to the crackdown in Catalonia by closing ranks against the working class and shifting further to the right. Mass protests of hundreds of thousands of people in Barcelona have pointed to the broad popular opposition to Madrid’s crackdown in Catalonia. Residents of Spanish-speaking working class districts of Catalonia, such as L’Hospitalet de Llobregat, have denounced Spanish police units as “occupation forces,” and there is growing fear in ruling class circles of an explosion of opposition in the working class. Yesterday, the right-wing and bitterly anti-Catalan independence daily El Mundo published a poll showing broad opposition in Spain to Madrid’s crushing of Catalan self-rule. Despite a month of wall-to-wall anti-Catalan propaganda in the press by papers like El Mundo, only a small minority of Spaniards support the onslaught against Catalonia led by Rajoy’s Popular Party, the Citizens party and the Spanish Socialist Party (PSOE). The poll found that 57 percent of Spaniards and 76 percent of Catalans wanted Catalonia to hold a peaceful referendum on independence. Large majorities opposed Catalan independence (80 percent in Spain 58 percent in Catalonia) and believed that independence was, in fact, impossible (71 percent in Spain and 56 percent in Catalonia). But only a small minority approved a policy leading to “less self-government” in Catalonia: 27 percent in Spain and 10 percent in Catalonia. This is a devastating popular repudiation not only of Rajoy’s crackdown, but also of the press campaign to support it based on denouncing Catalans and promoting “Spanish unity” protests attended by fascist organizations such as the Falange of Spanish dictator Francisco Franco. This turn towards dictatorial forms of rule, which is unanimously supported by the EU and the major European governments, faces deep opposition among workers. This is the objective social basis for a revolutionary counteroffensive against European capitalism and its drive to dictatorship. Podemos did not capitulate to Rajoy because Rajoy’s policy was temporarily recording high poll ratings due to the neo-fascistic frenzy in the Spanish press. Rather, it capitulated because an appeal for opposition to Rajoy would have found broad support and risked provoking a confrontation between the workers and the ruling class, which Podemos, a petty-bourgeois tool of the political establishment, is determined to avoid. It took the Turkish parliament more than ten years to acknowledge something which is known and carefully documented: Five so-called non-nuclear states including Belgium, Netherlands, Germany, Italy and Turkey have stockpiled and deployed in their various military bases 150 tactical B61 nuclear weapons directed at Russia, Iran and countries in the Middle East. Nobody seems to be concerned and has not received media coverage. Belgium is reported to have 20 B61 nuclear weapons under national command, Turkey has 50. Double standards. Compare that to the DPRK’s 10 nuclear weapons, heralded as a “threat” to the security of the Western World. While the nuclear warheads are made in America, they are entirely under national command. In other words, these five European countries including Turkey are de facto “Undeclared Nuclear Weapons States”. The United States has a total of 150 nuclear weapons in five NATO member countries, including Turkey, according to a report on worldwide nuclear arms prepared by the Turkish Parliament. The report, titled “Data on Nuclear Weapons,” said there were around 15,000 nuclear weapons at 107 sites in 14 countries as of July this year, daily Milliyet reported on Oct. 31. “Nearly 9,400 of these weapons are in arsenals for military use and the rest are standing idle to be destroyed,” the report read. It added that some 4,150 of the weapons in arsenals are ready to be used at any minute, while 1,800 are in “high alarm” status, which means they can be prepared for use in a short period of time. According to the report, 93 percent of the world’s nuclear weapons belong to Russia and the U.S. The report also said that nuclear weapons belonging to the U.S. are present in five NATO countries that do not themselves have nuclear weapons. Saying there are nuclear weapons belonging to the U.S. in five NATO countries that do not have nuclear weapons. “There are nearly 150 U.S. nuclear weapons in six air bases in Belgium, Germany, Italy, the Netherlands and Turkey, which are NATO countries that don’t themselves own nuclear weapons,” it added. The U.S., China, Russia, France and Britain are nuclear-armed state parties to the Treaty on the Prohibition of Nuclear Weapons, while India, Pakistan and Israel never became parties even though they own nuclear weapons. According to the data in parliament’s report, Russia has 7,000 nuclear weapons, the U.S. has 6,800, France has 300, China has 260, Britain has 215, Pakistan has 130, India has 120, Israel has 80 and North Korea has 10 nuclear weapons. 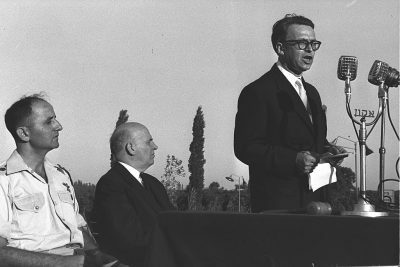 During the Cold War, the U.S. placed nuclear weapons in NATO countries, including Turkey, as part of the organization’s nuclear sharing program. Some of the nuclear weapons placed in the 1960s are still in Turkey today. At the time, negotiations were carried out between Ankara and Washington in the 1950s and they were concluded at the beginning of the 1960s. 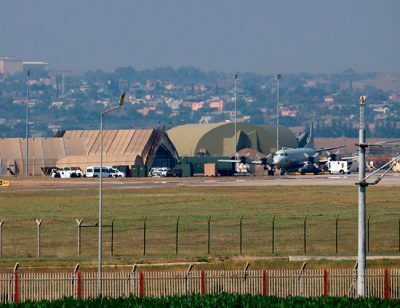 Among those weapons, B61 type bombs are still in the İncirlik air base in the southern Turkish province of Adana. Nuclear warhead Jupiter missiles that were sent to the country during the same time period were only kept in the country between 1961 and 1963. Saudi Crown Prince Muhammad bin Salman’s recent disavowal of the kingdom’s founding religious ideology had a master’s voice quality to it. His words could have literally come out of the mouth of his United Arab Emirates counterpart and mentor, Crown Prince Muhammad bin Zayed, but with one major difference: the UAE, unlike the kingdom, has no roots in ultra-conservative Sunni Islam. The absence of an overriding puritan religious history has made it easier for Prince Muhammad bin Zayed to campaign against Sunni Muslim ultra-conservatism and since the popular Arab revolts of 2011 suppress any expression of political Islam. To that end, Prince Muhammad attempted with little evident success to counter the Qatar-backed International Union of Muslim Scholars (IUMS) headed by Sheikh Yusuf al-Qaradawi, one of Islam’s foremost living scholars who is widely viewed as a spiritual guide of the Muslim Brotherhood, with the creation of groups like the Muslim Council of Elders and the Global Forum for Promoting Peace in Muslim Societies as well as the Sawab and Hedayah Centres’ anti-extremism messaging initiatives in collaboration with the United States and the Global Counter-Terrorism Forum. Despite this week’s verbal assault on Wahhabism, Prince Muhammad bin Salman must have cringed when Prince Muhammad bin Zayed scored what likely was his greatest success: the exclusion of Wahhabism, the Saudi strand of ultra-conservatism, developed by Muhammad ibn Abdul Wahhab, an 18th century preacher with whom Prince Muhammad bin Salman’s forefather forged a power-sharing agreement that has constituted the basis of Saudi national ambitions ever since, from a definition of Sunni Islam by prominent Islamic scholars. The frontal assault on Wahhabism as well as other Saudi-inspired interpretations of Islam, such as Salafism and Deobandism, came in a statement last year by a UAE-funded conference in the Chechen capital of Grozny. Participants included the imam of Al-Azhar Grand Mosque in Cairo, Ahmed El-Tayeb; Egyptian Grand Mufti Shawki Allam; former Egyptian Grand Mufti and Sufi authority Ali Gomaa, a strident supporter of Egyptian general-turned-president Abdel Fattah al-Sisi; Al Sisi’s religious affairs advisor, Usama al-Azhari; the mufti of Damascus, Abdul Fattah al-Bizm, a close confidante of Syrian President Bashar al-Assad; and influential Yemeni cleric Habib Ali Jifri, head of the Abu Dhabi-based Islamic Tabah Foundation who has close ties to Prince Muhammad bin Zayed. While the Grozny statement constituted a milestone, it will take more than statements for the Saudi and UAE princes to succeed in their endeavour. Like many of Prince Muhammad bin Salman’s announcements, his vow to return Saudi Arabia to “moderate Islam” was long on expressions of intent and short on details that would put flesh on the skeleton. … Prince Muhammad bin Salman’s definition of “moderate Islam” is one that is primarily apolitical, quietist and adheres to a religious school of thought that teaches unconditional obedience to the ruler. To be sure, since emerging almost three years ago as Saudi Arabia’s strongman, Prince Muhammad has taken several steps to roll back the influence of the kingdom’s ultra-conservative religious establishment and relax its strict moral codes. The steps, including reducing the power of the religious police, lifting the ban on women’s driving, and allowing forms of entertainment like music, film and dance that were long banned, seem, however more designed to upgrade rather than abolish autocracy and enable badly needed economic reform and diversification. Recent arrests of some of Saudi Arabia’s most popular Islamic scholars as well as human rights activists, judges and intellectuals, whose views run the gamut from ultra-conservative to liberal, coupled with Prince Muhammad bin Zayed’s campaign suggest that Prince Muhammad bin Salman’s definition of “moderate Islam” is one that is primarily apolitical, quietist and adheres to a religious school of thought that teaches unconditional obedience to the ruler. Moreover, changing deeply engrained attitudes that have been embedded in the kingdom’s education and social system since it was founded in the first half of the 20th century and shaped pre-state life will take time. While Saudi Arabia has in recent years taken steps to alter its school curriculum and remove bigoted and violent content from textbooks, it still has a long way to go, according to a 2013 study by a US State Department contractor, the International Centre for Religion and Diplomacy. The study, disclosed by The New York Times, reported among multiple questionable textbook references that seventh graders were being taught that “fighting the infidels to elevate the words of Allah” was among the deeds Allah loved the most. Tenth graders learned that Muslims who abandoned Islam should be jailed for three days and, if they did not change their minds, “killed for walking away from their true religion”. Fourth graders read that non-Muslims had been “shown the truth but abandoned it, like the Jews”, or had replaced truth with “ignorance and delusion, like the Christians”. Some of the books, prepared and distributed by the government, propagated views that were hostile to science, modernity and women’s rights. The books advocated execution for sorcerers and warned against the dangers of networking groups focused on humanitarian issues like the Rotary Club and the Lions Club that allegedly had been created “to achieve the goals of the Zionist movement”. Even if all the questionable references were removed, changing those attitudes could be a generational task. While Prince Muhammad bin Salman’s proposed reforms have largely been welcomed by Saudi youth, who constitute a majority of the kingdom’s population, they are likely to stir mixed responses as a result of deep-seated attitudes that have been cultivated for decades. Some 50 per cent of those surveyed said they wanted to have fun, go on a date, enjoy mixed gender parties, dress freely, and be able to drive fast cars, Al Lily said. He said issues of political violence, racism, international interests or the dragged out Saudi war in neighbouring Yemen did not figure in their answers. However, Al Lily’s interviewees bolted when confronted with the notion that liberties they wanted would also apply to their womenfolk. “People ended up not doing anything when confronted with the idea that someone might want to go on a date with their sister. They pulled back when they realised the consequences,” Al Lily said. In Iraq, as in Syria, the imminent extinguishing of the mini-state of the so-called Islamic State (ISIS or IS) is raising the question of whether U.S. objectives in Iraq really are focused on countering IS or will balloon into some other reason to keep American forces there indefinitely. The most common rationale voiced by those arguing for an indefinite stay is to counter Iranian influence. The rationale echoes alarms sounded by the Trump administration and others about an Iran supposedly on the march and threatening to bring most of the Middle East under its sway. The alarms are filled with unsupported zero-sum assumptions about what any Iranian action or influence means for U.S. interests. Those tempted to succumb to the alarms as they apply to Iraq should bear in mind two important realities about the Iraqi-Iranian relationship. The first is that the biggest boost to Iranian influence in Iraq was the U.S. invasion of March 2003. One effect of the whole costly, unpleasant history of the United States in Iraq—including the initial conquest, later surge, and all the ups and downs of occupation—is that Iranian influence is much greater now than it ever was while Saddam Hussein was still ruling Iraq. If Iranian influence were the overriding worry about the Middle East that the rhetoric of the Trump administration makes it out to be, this record strongly suggests that an unending U.S. military expedition would not be a smart way to assuage that worry. The second key reality is that Iraq and Iran, for reasons of geographic proximity and a bloody history, are necessarily huge factors in each other’s security. Outside actors can’t shove aside that fact by talking about filling vacuums, pursuing their own self-defined rivalries, or imposing zero-sum assumptions that do not correspond to ground truth in the Persian Gulf region. The extremely costly Iran-Iraq War, begun by Iraq and fought from 1980 to 1988, is the most prominent part of the bloody history and a formative experience for leaders in both countries. Accurate figures on the war’s casualties are not available, but deaths numbered in the hundreds of thousands for each country. According to mid-range of estimates of those killed in the war, the combined death toll was probably somewhere around three-quarters of a million. The war was the deadliest conflict in the Middle East over the past half century. Against that historical backdrop, it behooves the leaders of both Iraq and Iran to keep their relationship on an even keel. Although the two neighbors still have differing interests, it is in their larger security interests for cordiality to prevail over conflict in their bilateral relationship. The governments in both Baghdad and Tehran appear to realize that. It helps that the two countries have, along with their differing interests, some important parallel interests. Chief among those right now are their interests in quashing IS and in not letting Kurdish separatism tear pieces out of each country’s sovereign territory. These interests also align with declared U.S. objectives about fighting IS and upholding the territorial integrity of Iraq, although this fact often seems to get overlooked in the United States amid the obsession with opposing Iran and confronting it everywhere about everything. Many countries, including the United States, share a general interest in peace and stability in the Middle East—for numerous reasons, including how the lack of peace and stability encourages the sorts of violent extremism that can have consequences beyond the region. It follows that having more cordiality than conflict in the Iraq-Iran relationship, which was so disastrously explosive in the recent past, also is in the general interest. 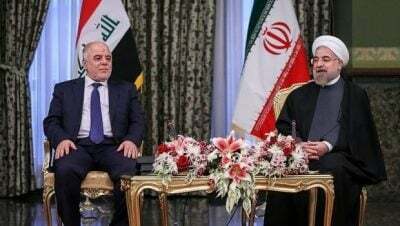 That peace and stability inside Iraq is in Iran’s interest as much as in other countries’ interests gets overlooked amid obsession-related caricatures of Iran as fomenting instability wherever and whenever it can. Persistent instability in a country with which Iran shares a border of more than 900 miles is not in Iran’s interest. It is ironic that this fact seems hard to accept by those who habitually use the term “spread of instability” in opining about security issues in the Middle East. Iranian leaders also are smart enough, and informed enough about Iraqi affairs, to realize how destabilizing narrow-minded sectarian favoritism would be and how easy it would be to overplay their own hand. However empathetic the Iranians are to their Shia co-religionists, they realize that Sunni-bashing policies do not constitute a formula for stability on their eastern border. They also are aware of Iraqi nationalist (and Arab) sensitivities. They can see such sensitivities even in cleric and militia leader Moqtada al-Sadr, commonly described as a Shia zealot, who recently made friendly visits to Saudi Arabia and the United Arab Emirates, which are among the chief regional rivals of Iran. Iraqis are contemplating not only how the Iranian-backed militias have done much of the heavy lifting in defeating IS in Iraq. They also can see most recently the constructive behind-the-scenes Iranian role in resolving the standoff with the Kurds over Kirkuk and nearby oilfields in a way that advanced the objective of Iraqi territorial integrity and sovereignty with minimal bloodshed. Abadi’s own government can rightly claim most of the credit for this result, and the prime minister’s domestic political stock has risen as a result. But to the extent that any outside player played a positive role, it was Iran. The United States does not appear to have contributed to the outcome to any comparable degree. Two basic reasons explain the U.S. obtuseness in failing to recognize and understand the regional geopolitical realities mentioned above. One is the demonization of Iran and fixation on opposing it everywhere on everything, to the exclusion of attention given to the many other facets of security issues in the Middle East. The other reason is the chronic difficulty that Americans, relatively secure behind two ocean moats, have had in understanding the security problems, and responses to those problems, of nations without similar geographic blessings. This was the reason that, during the Cold War, “Finlandization” became a U.S. term of derision aimed at countries that deemed it advisable to observe certain policy limits in order to live peaceably as neighbors of the Soviet Union. It is today a reason for failing to appreciate fully how Iraqis analyze what is necessary to live peaceably in their own neighborhood. Such understanding would come more easily to Americans if they had experienced wars with their North American neighbors that had been as bloody as the Iran-Iraq War. And perhaps such understanding would come if today Iran were lecturing the Canadians and Mexicans about how to organize their internal security and how they need to reduce U.S. influence. This carefully documented report on Israel’s WMD, first published by Global Research in 2002 reveals the nature and size Israel’s thermonuclear arsenal. 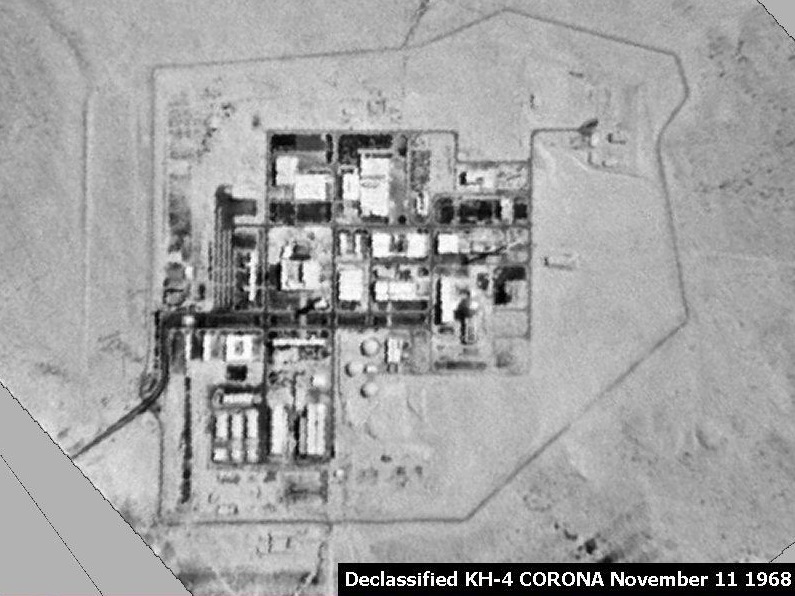 Are Israeli nukes slated to used against Iran? With between 200 and 500 thermonuclear weapons and a sophisticated delivery system, Israel has quietly supplanted Britain as the World’s 5th Largest nuclear power, and may currently rival France and China in the size and sophistication of its nuclear arsenal. Although dwarfed by the nuclear arsenals of the U.S. and Russia, each possessing over 10,000 nuclear weapons, Israel nonetheless is a major nuclear power, and should be publicly recognized as such. Since the Gulf War in 1991, while much attention has been lavished on the threat posed by Iraqi weapons of mass destruction, the major culprit in the region, Israel, has been largely ignored. Possessing chemical and biological weapons, an extremely sophisticated nuclear arsenal, and an aggressive strategy for their actual use, Israel provides the major regional impetus for the development of weapons of mass destruction and represents an acute threat to peace and stability in the Middle East. The Israeli nuclear program represents a serious impediment to nuclear disarmament and nonproliferation and, with India and Pakistan, is a potential nuclear flashpoint (prospects of meaningful non-proliferation are a delusion so long as the nuclear weapons states insist on maintaining their arsenals). Citizens concerned about sanctions against Iraq, peace with justice in the Middle East, and nuclear disarmament have an obligation to speak out forcefully against the Israeli nuclear program. Possessing an overwhelming nuclear superiority allows Israel to act with impunity even in the face world wide opposition. 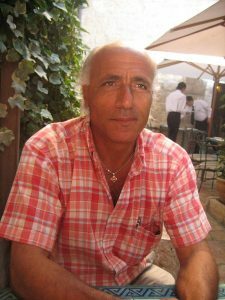 A case in point might be the invasion of Lebanon and destruction of Beirut in 1982, led by Ariel Sharon, which resulted in 20,000 deaths, most civilian. Despite the annihilation of a neighboring Arab state, not to mention the utter destruction of the Syrian Air Force, Israel was able to carry out the war for months at least partially due to its nuclear threat. Many Middle East Peace activists have been reluctant to discuss, let alone challenge, the Israeli monopoly on nuclear weapons in the region, often leading to incomplete and uninformed analyses and flawed action strategies. Placing the issue of Israeli weapons of mass destruction directly and honestly on the table and action agenda would have several salutary effects. First, it would expose a primary destabilizing dynamic driving the Middle East arms race and compelling the region’s states to each seek their own “deterrent.” Second, it would expose the grotesque double standard which sees the U.S. and Europe on the one hand condemning Iraq, Iran and Syria for developing weapons of mass destruction, while simultaneously protecting and enabling the principal culprit. Third, exposing Israel’s nuclear strategy would focus international public attention, resulting in increased pressure to dismantle its weapons of mass destruction and negotiate a just peace in good faith. Finally, a nuclear free Israel would make a Nuclear Free Middle East and a comprehensive regional peace agreement much more likely. 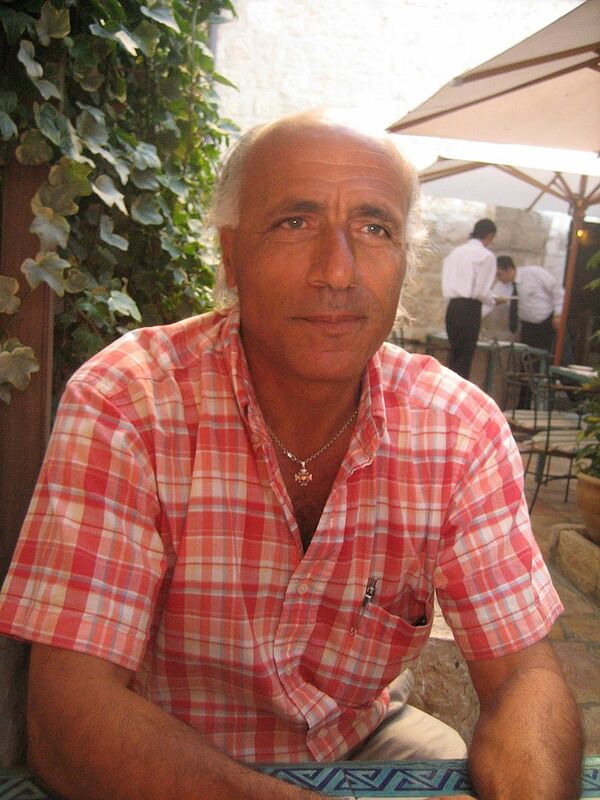 Unless and until the world community confronts Israel over its covert nuclear program it is unlikely that there will be any meaningful resolution of the Israeli/Arab conflict, a fact that Israel may be counting on as the Sharon era dawns. Inside Syria Media Center continues publishing some evidence of the U.S.-made weapons supply to ISIS and Hayat Tahrir al-Sham (formerly Jabhat al-Nusra) terrorists in Syria. 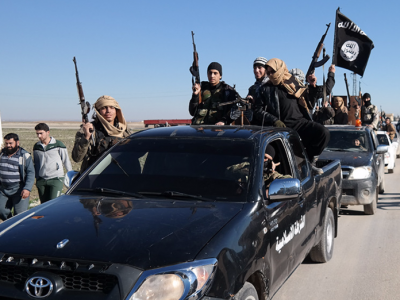 According to Syrian General Ali Al-Ali, the United States illegally delivered at least 1,500 trucks with military equipment and weapons for terrorists in Syria between June 5 and September 15 this year. The General reported that all Washington’s statements regarding this military equipment was intended for the U.S. allies were false. Ultimately, the weapons almost always come into the hands of terrorists. In support of his words, Ali Al-Ali analyzed some NATO weapons captured by the Syrian army from ISIS and Hayat Tahrir al-Sham army depots. The Austrian Glock 19 pistol especially is among the most popular weapons. In 2014, ISIS released footage, where terrorists executed several hostages using such kind of pistols. Later, it turned out that the pistols were delivered to the Iraqi law enforcement agencies by the U.S. in 2003-2004. The U.S.-made M16 Assault Rifle has become a symbol of terrorists in Syria. The Syrian Arab Army (SAA) has repeatedly found military equipment stamped ‘Property of U.S. Govt’. This fact confirms that ISIS and Hayat Tahrir al-Sham terrorists use the U.S.-made M16 rifles, not unlicensed Chinese copies. The Belgian FN FAL Assault Rifle that earlier became standard rifle ammunition for member states of NATO is often found in ISIS weapons deports. This 7.62×51mm NATO battle rifle equipped with sniper scope is used to conduct aimed fire and neutralize enemy’s manpower during military operations in urban conditions. Besides, the German Heckler & Koch MP5 Submachine Gun used by the U.S. and European law enforcement agencies, is also popular among ISIS fighters. All data of this weapon supplies is strongly classified, and there isn’t such kind of information in any open sources. Probably, the existence of these weapons, including highly specialized MP-5K, as well as the unceasing weapons landing is directly linked to military operations of the U.S.-led international coalition in Syria and Iraq. Against this background, it also should be mentioned about ISIS weapons depot in Al-Mayadeen. The SAA High Command announced that ISIS terrorists had used a huge arsenal of M16 and FN FAL assault rifles, U.S.-made machine guns, AA mounts, grenade launchers, and even British 155 mm howitzer. Besides, Iraqi Prime Minister Haider al-Abadi admitted that the U.S.-made M2A1 heavy machine gun also fell into the hands of terrorists. This weapon is usually installed on Humwee vehicles. We remind that the Iraqi Army lost about 2,500 of these armored vehicles only in Mosul. In fact, terrorists from all over the Middle East prefer to use weapons delivered from the U.S. Their interest is easy to be explained. The U.S. weapons are often delivered in circumvention of international law, so it is easier to get it. According to Stockholm International Peace Research Institute (SIPRI) data, the United States is an absolute leader in the number of signed contracts regarding weapons supply over the past 5 years. In this regard, Syrians strongly oppose arms dealers, who continue to be enriched by killing civilians. Syrian enemies are politicians who have unprecedented profits from indiscriminate weapon trade. They force Syrians to fight against one another in the senseless fratricidal war, squashing the government forces and armed opposition. Continuing to profit from the war, the U.S. and European weapons lobby earns millions of dollars by delivering weapons to different unstable regions. Entire corporations are working to create new ways for illegal weapons supply. They have learned to make money on human lives even during World War II, and successfully continue these traditions nowadays. That’s why only 13 congressmen voted for the law that prevents weapons supply to terrorists (2 per cent of the U.S. House of Representatives). It’s simply not profitable for the U.S. and European politicians.